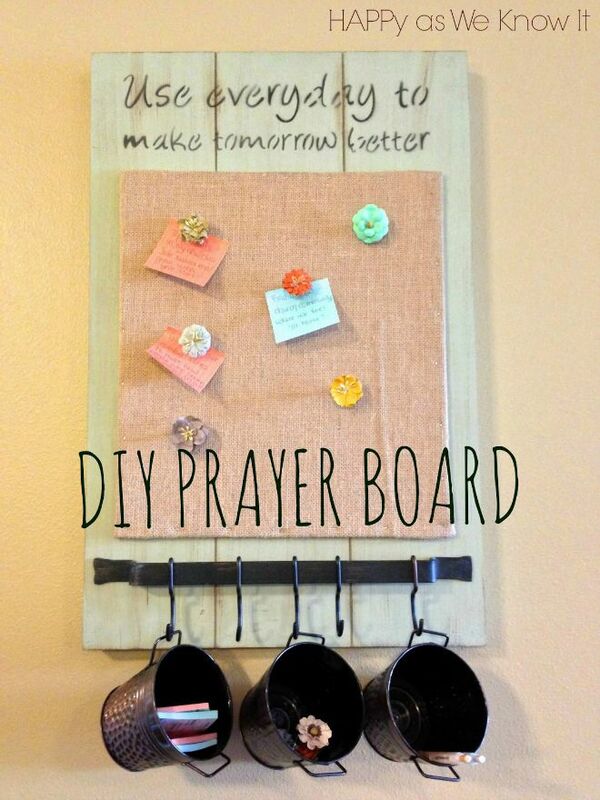 I have seen so many different prayer board ideas over the years, and I have always loved the idea as a constant reminder not only of how to be intentional about our prayers - but also simply that we should be praying consistently as individuals and a couple in general. 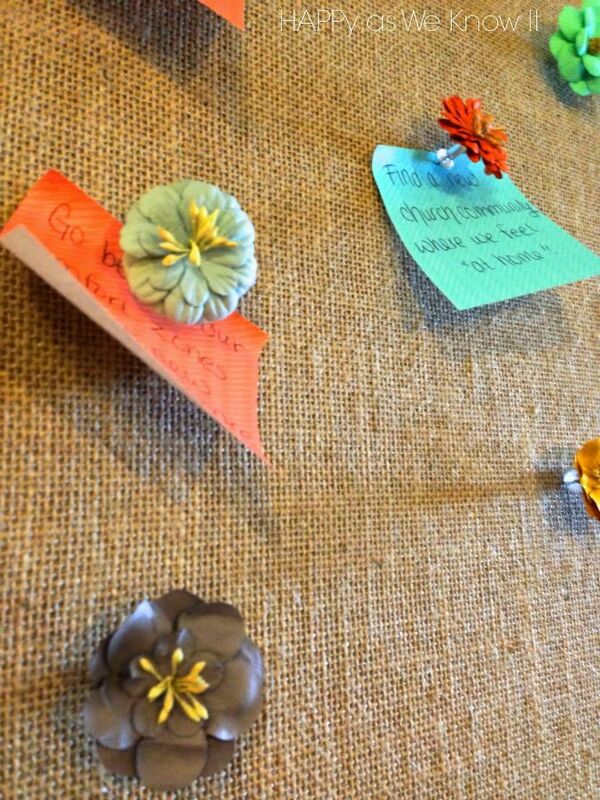 My mother purchased us this statement cork board above for one of our bridal showers, and as I hung it on our wall and contemplated what to use it for, this idea seemed the perfect choice. 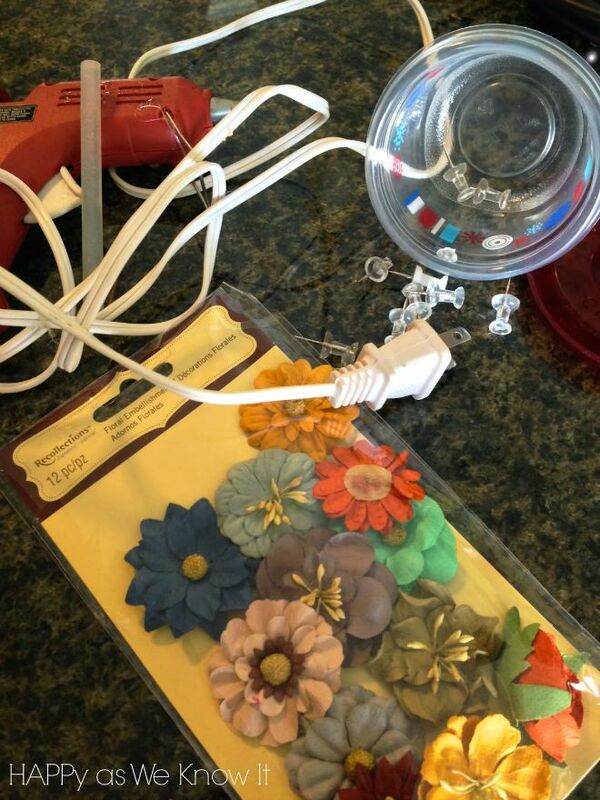 To spruce it up a bit, I purchased some scrapbooking flowers and had the hubs hot glue them to the ends of clear tacks. For some reason the man loves to hot glue - Not sure, but I am thinking possibly because it involves a "gun" he considers it to be the manly version of crafting. Either way - I love the help. The flowers definitely added the pop of color I was looking for. 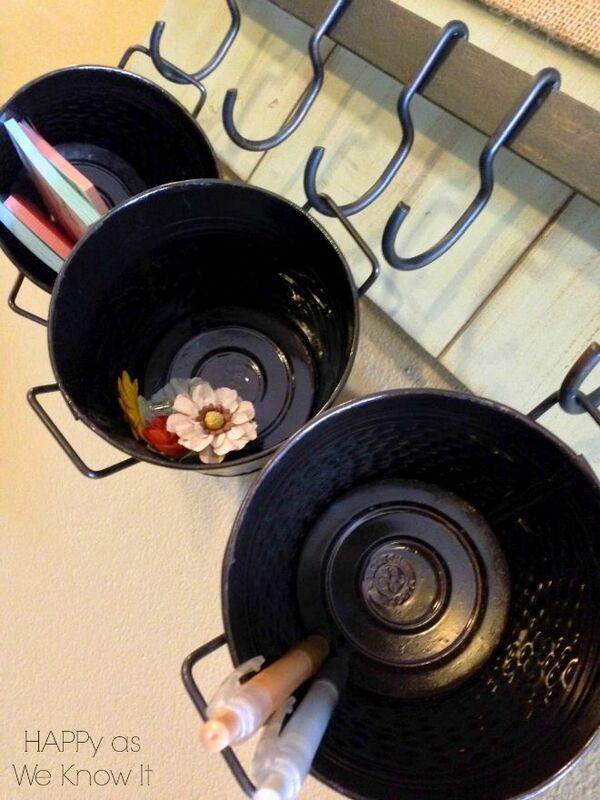 Then I added a few bronze buckets I found at Michaels to hang on the hooks and store the supplies for the board. In the first one, I placed our patterned Post-Its (purchased at The Container Store), in the middle one, I put the extra tacks not currently being used, and in the last, pens for writing the prayer requests. 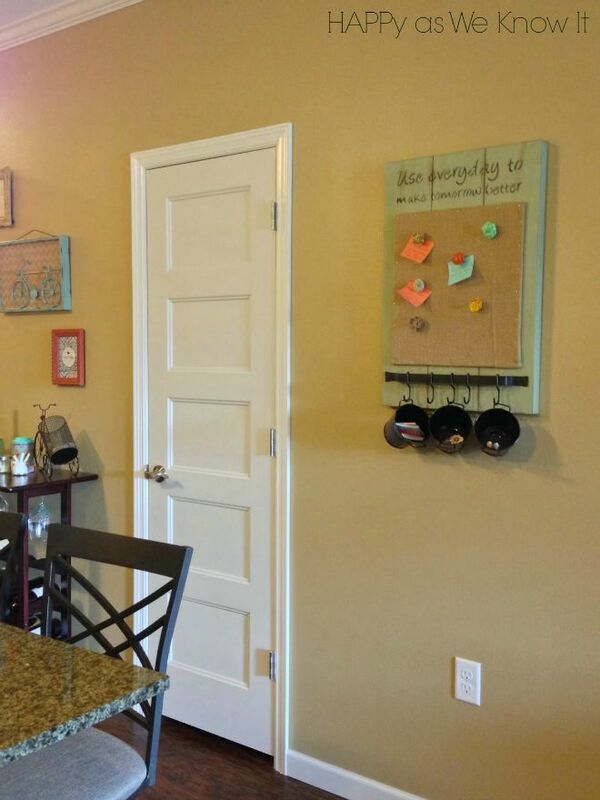 I am loving how it adds pizazz and purpose to our kitchen wall. the only thing missing would be something for the answered prayers. as you take them down as answered trash does not right. maybe a 4th bucket for them. just a thought.